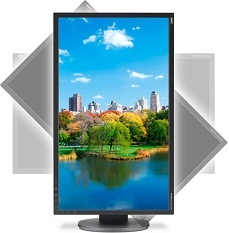 NEC MultiSync EA223WM features an extremely thin LED backlight panel which results in an ultra-modern and slim design in combination with a premium feature set for the corporate office use. Ambient Light and Human Sensors enforce the sustainable product concept while offering improved ergonomics with 130 mm height adjustability. 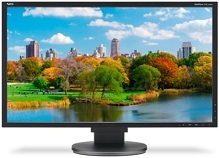 Moreover the display offers broad connectivity with three inputs DisplayPort, DVI-D and D-Sub. Green Product Concept - Eco Mode and Carbon Footprint Meter / Carbon Savings Meter , Ambient Light Sensor.